Bone and cardiovascular health are top priorities when treating menopausal women because of the lost protective effects estrogen has on both of these tissues. In the past, soy has had a controversial reputation in the treatment of women because of it’s supposed estrogen modulating effects and increased cancer risk; however, recently studies have found that perhaps soy has positive, rather than negative, impacts on women’s health, after all. 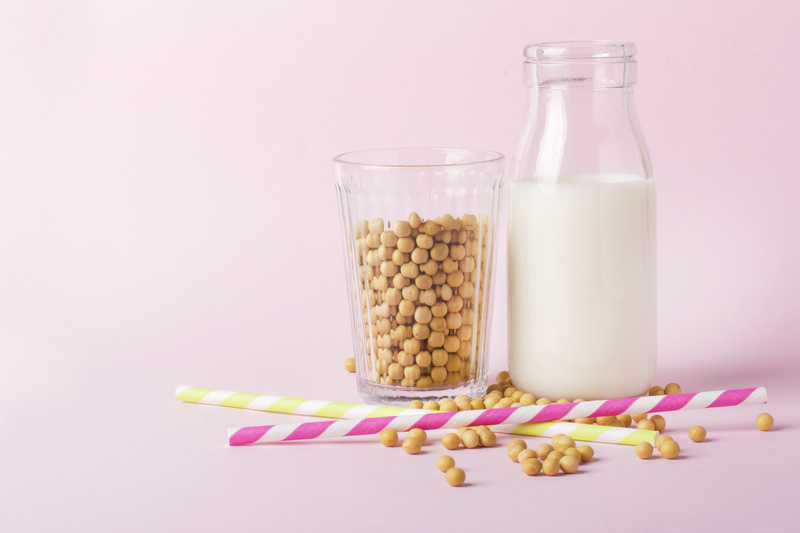 One paper published in 2017 (1), examined how the intake of soy protein and soy isoflavones impacted bone turn over markers (increased bone turnover is found in osteoporosis and increases fracture risk) and cardiovascular health risk markers. Results showed women who received both soy protein and isoflavonoids, rather than the soy protein alone, had a statistically significant reduction in bone turn over markers, and a reduction in cardiovascular disease risk factor markers such as reduced fasting glucose, fasting insulin, insulin resistance, and systolic blood pressure. Unfortunately, the soy isoflavones didn’t come up 100% glamourous in this study. It is important to note that soy can have goitrogenic effects, meaning it can impair thyroid hormone production. Participants who received the isoflavones plus the soy protein, had an increase in Thyroid Stimulating Hormone(TSH) and lowered free thyroxine (T4). It is best to check with your Naturopathic Doctor to ensure: a) soy is the right fit for you and b) you are on the proper dose to address any of your menopausal health concerns. When considering soy, it is important to choose organic, non-GMO, sources to include in the diet. Follow this link (peanut-tempeh-with-purple-cabbage-slaw) for a recipe incorporating tempeh, our favourite source of soy because it is fermented and less processed than tofu.